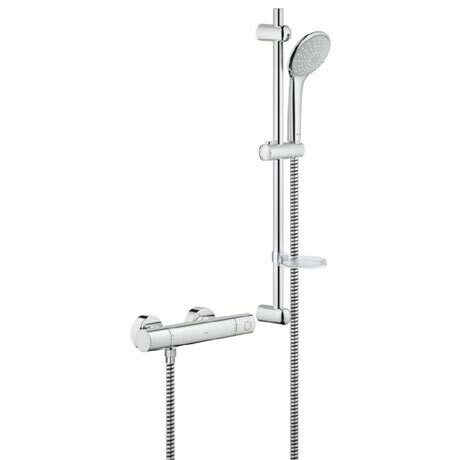 The Grohtherm 1000 Cosmopolitan Thermostatic Shower Mixer and Kit is perfect for the family bathroom. The SafeStop button prevents the temperature from being turned up too high and can be easily adjusted for personal preferences. The StarLight® chrome finish makes it easy to clean and is scratch resistant. Includes shower kit consisting of a 600mm shower rail, 1500mm shower hose and a 1 spray pattern handset.